Are you caught between the traditional and emerging churches? Belcher offers a third way! Exploring the ideas of Tony Jones, Brian McLaren, and others, he assesses the emergent church's strengths and weaknesses, weighs traditionalists' criticisms, and proposes a missional church that blends innovation in worship, the arts, and community with belief in creeds and confessions. 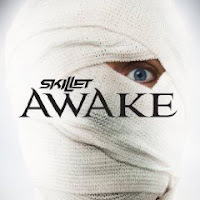 Skillet's eighth studio album, Awake, recorded with Grammy-nominated producer Howard Benson, is set for an August 25, 2009 release. The album will contain 12 tracks, including 'Hero' and 'Monster' which were added to their live set during their Comatose Tour 2009. 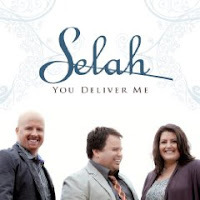 Five time Dove Awards Winners Selah has sold 2.4 million units over their career. You Deliver Me is the first studio record featuring Amy Perry since she joined the group. Platinum-selling, Dove Award winning recording artist, Mark Schultz, releases his long-awaited, fifth studio album. One of Christian music's most acclaimed singer/songwriters, Schultz's first new studio album in nearly three years is also his most personal recording to date, inviting listeners to 'Come Alive' through these songs birthed by stories of hope, loss, joy and redemption. 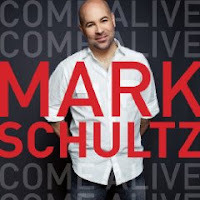 New for Schultz, working with more than one or two producers for an album, Come Alive features the distinct and masterful touches from multiple GRAMMY Award winner Brown Bannister (Amy Grant, Third Day, CeCe Winans), Shaun Shankel (Beyoncé, Hilary Duff), Bernie Herms (Natalie Grant, Avalon) and Paul Mills (Third Day, Bluetree). The album also features collaborations with such hit making songwriters as Bart Millard and Barry Graul of Mercy Me, Matthew West, Joy Williams and Bernie Herms. The combination of talent and Schultz's own vision for this album results in his most thought-provoking, musically diverse project to date. One of Christian music's most recognizable and prolific female voices, Christy Nockels, was born in Ft. Worth, TX as a "seminary baby." She grew up in Oklahoma as the daughter of a pastor and a piano teacher, which infused her heart early with a love for both music and God's word. Together as Watermark, Christy and her husband Nathan recorded five albums with Rocketown Records. They composed a journey full of songs, 7 of which were #1 radio singles. They have been nominated for numerous Dove Awards, including Christy's nominations for Female Vocalist of the Year. Christy and Nathan have served at Passion Conferences since 1997 and in 2008, they moved to Atlanta, GA to be a founding family of Passion City Church. 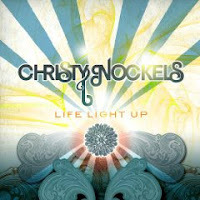 Christy releases her first solo worship project, Life Light Up, with sixstepsrecords on June 2, 2009. She's been busy playing before national audiences on Chris Tomlin's "Hello Love Tour," where she's singing vocals with Chris and debuting her new single "Life Light Up" each night. Christy's heart through leading worship and song writing is to help people communicate intimately with the living God, and to leave a legacy of proclaiming Jesus' fame to this generation. Britt set the world on fire when her first album debuted. Now she ramps it up in her highly anticipated sophomore release! Filled with high-energy tracks and catchy hooks, it speaks to the hearts of today's teens in "Welcome to the Show," "Glow," "How We Roll," "Safe," "Have Your Way," "Like a Star," the title track, and more. We plot. We plan. We assume things are going to go a certain way. And when they don't, we find ourselves in a new place, a place we haven't been before, a place we never would have imagined on our own. It is the difficult and the unexpected, and maybe even the tragic, that opens us up and frees us to see things in new ways. Many of the most significant moments in our lives come not because it all went right but because it all fell apart. Suffering does that. It hurts, but it also creates. This book is an exploration of the complex relationship between suffering and creativity, driven by the belief that there is art in the agony. A provacative new book that calls Christians to stop making Jesus so "convenient". Cutting through the glossy, modern perceptions of Jesus, Jared C. Wilson returns to the gospels for twelve raw, realistic portraits of Christ in this revolutionary book. 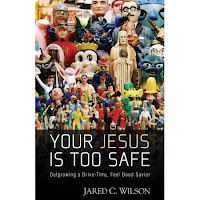 Your Jesus is Too Safe offers a clear image of the historical figure of Christ in his biblical and cultural context. Ideal for readers dissatisfied with the "Buddy Jesus" that has pervaded the evangelical landscape, Your Jesus is Too Safe provides a devotional, inspirational survey of Christ and his kingdom with a conversational style, humor, and a solid theological foundation. Beth Moore's #1 best-selling book (more than one million copies in print) is available in paperback for the first time!Praying God's Word is the perennial favorite Scripture-prayer resource designed to help us decisively overcome specific strongholds: pride, idolatry, addiction, loss, depression, unbelief, temptation, and more. No matter how overwhelmed or out of control a person may feel today, Beth boldly reminds us that nothing is bigger or more powerful than the Lord. 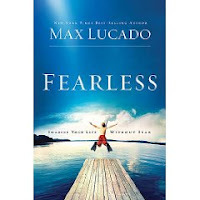 With this landmark book we learn to wield the sword of the Spirit, praying God's Word to break free from anything that has a hold on us until the joy and authority of Christ rules in our lives. A role model for today! 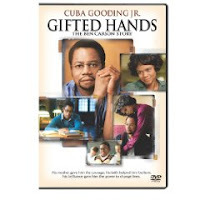 Academy Award-winner Cuba Gooding, Jr., stars in the riveting true story of world-renowned pediatric neurosurgeon Ben Carson. Discover how Dr. Carson's own struggle to overcome poverty and learning problems---with the encouragement of a loving mother---inspired him to treat impoverished children from all over the world. As seen on TNT. (PG-13.) 90 minutes. 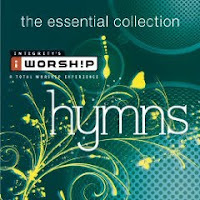 The iWorship series continues with this eighteen song selection of timeless hymns, including breathtaking renditions of "Revelation Song" (Kari Jobe), "In Christ Alone"(Travis Cottrell), "I Surrender All" (Israel Houghton), and more. 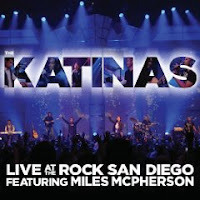 Recorded live at The Rock church in San Diego, this powerful performance from The Katinas is a retrospective tour of the group's original hits and powerful worship standards. Featuring interwoven ministry from Pastor Miles McPherson, Live at The Rock also includes two brand new studio tracks, "Ancient Skies" and "Carry The Cross," heard in the TBN documantary "The Cross." 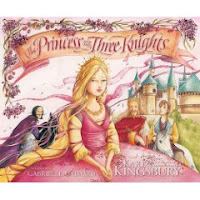 Once upon a time, there was a princess---"the most beautiful in all the land"---and all the young men dreamed of winning her hand. When the king issues a challenge, contestants come from far and near. But who will capture his daughter's heart? A celebration of character, purity, and true love. Ages 4 to 7. 40 pages, hardcover from Zonderkidz.